Did you ever wonder what happened to the PIG door? It resides some where in Louisiana. This photo is post Katrina. It was the home of Trent Reznor lead singer of Nine Inch Nails. property to use as a recording studio. He also had prior knowledge the house would soon be torn down and acquired the door. What a great piece of history to own! 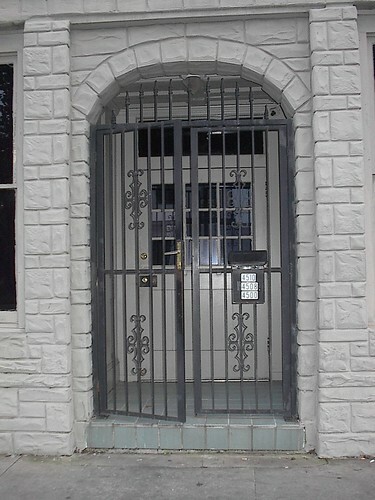 This door is actually on Reznor's recording studio in New Orleans; his home was on the fringe of the French Quarter on Esplanade. PP, Do you know where in the quarter this door is? Im a Nawlins native, Id love to find the door and get a pic of it! Patty ha never been there herself, but Wiki says 4500 Magazine is the former home of "Nothing Studios." If you find it, send us a pic!